It’s that time of year again and, if you’re anything like nearly half the US population, you’re probably thinking about your New Year’s resolutions. Every year, countless individuals use the New Year as an opportunity to commit to creating meaningful, lasting change … And yet, less than 30 days later, 80% of New Year’s resolutions fail. Why? Is it that people aren’t serious about creating change? Are their goals to lofty? Are they just plain lazy? In my experience, probably not. 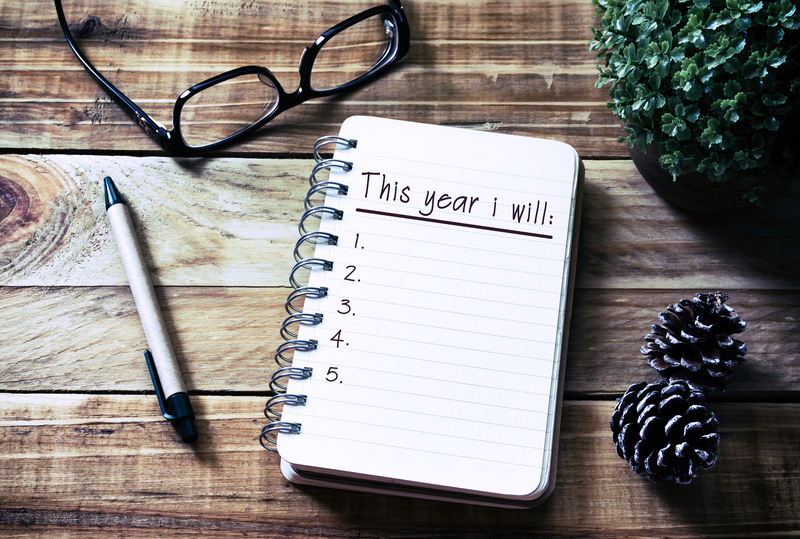 In this article, we’ll take a closer look at why most resolutions fail, and—more importantly—at the three steps you can take to make sure yours don’t. But this topic is bigger than a single article. I’ll cover the basics here but, if you’re interested in really getting the most out of the New Year, I invite you to enroll in my brand new, 100% free online course: Resolutions to Reality—How to Crush 2019 with Bulletproof New Year’s Resolutions. If an intensive online program sounds more your speed, click the button below. If you’re just hear for the basics, read on! Why do most New Year’s resolutions fail? To answer this question, we first need to ask a more basic question: What is a New Year’s resolution? And the way I see it, the answer’s clear. At its core, a New Year’s resolution is simply a goal to act differently. The key word in that definition is “act.” Without action—or forward momentum—you can’t create change. Common sense, right? And yet most resolutions aren’t actionable; they’re merely inspirational. Let me give you an example. That’s great, but how? “Losing 60 pounds” isn’t an action; it’s a result. It’s something you can aspire to, but not something you can do. You can, on the other hand, choose to exercise three days a week, or remove dairy from your diet—and, in doing so, lose the 60 pounds. Make sense? Change—meaningful, lasting change—is almost always the result of action, not inspiration. So that begs the obvious question, “Now what?” What do we have to change to make our New Year’s resolutions more actionable this year? We’ll touch on each of the three elements briefly and, if you want to learn more, you can enroll for free in Resolutions to Reality. I know I’m not the first person to tell you goals are important, and I probably won’t be the last. But as eager as everyone is to spout the importance of goals, few seem to have a truly actionable approach to setting goals that inspire action or create lasting change. We’ve already discussed why above: Most goals are results-focused rather than action-focused. In Resolutions to Reality, we walk you through our unique three-step process designed to break down a results-focused goal (what we call a North Star Objective) into pragmatic daily actions (or what we call Goal Tests). The great thing about goals written in a yes-or-no format is it removes all ambiguity. At a glance, you immediately know two things: Exactly what you need to do, and whether or not you’re on-track. If there’s one thing that sets successful people apart from the rest, it’s their daily habits. We all share the same 24-hour days; what differentiates us is how we use the time we’re given. Habits drive action, action drives change, and change drives results. Make sense? So if you want to be more successful or productive, you need more successful, productive habits. In Resolutions to Reality, we help you define the specific habits and integrate them into frameworks that’ll keep you moving forward and making progress day-in and day-out, and if there’s one thing I want to share with you in this article, it’s the power of action triggers. You already had a daily habit of grabbing a cup of coffee right after getting to the office. This might seem like a subtle difference, but it works because all you’re doing is adding an extra step onto a pre-existing habit, which is much easier to adopt and integrate into your life than an altogether new behavior. If you’re like most people, you simply stop pursuing change. That’s why it’s important to place motivational “safeguards” in place early in the goal-setting process, to ensure you’re mentally equipped to continue taking action long after “natural” motivation fades. How you communicate with yourself about a task directly influences your motivation to complete that task. For example: If your goal was to develop thought leadership by writing two blog posts a month but all you can think is, “I’m a terrible writer, this is going to take forever, it’s going to turn out horribly” is it any wonder you never “find” the motivation to take action? Identify the negative thoughts surrounding your goals and restructure them based on the positive results those actions will create. This is one of the rare instances where focusing on the result rather than the action is often the key to success. And my challenge to you is this: Make that “when” this year. I hope the quick tips I shared in this article help make 2019 the year you reach your fullest potential. And if you want more, don’t forget: Our free online program Resolutions to Reality is still accepting new enrollees through February. Whatever you decide and whatever your resolutions, I wish you nothing but the best. From me and the rest of the team here at Mindmaven, happy New Year! Patrick Ewers is the founder and CEO of Mindmaven, an executive coaching firm and educational platform focused on helping startup CEOs, executives and their team members achieve their fullest potential and generate game-changing opportunities by better leveraging the most valuable relationships in their network.